Cocktails are kind of a staple by themselves. They’re what you order when you’re too cool for a beer but not quite cool enough to just drink a neat scotch. Or they’re what you order when you have complex taste buds that understand nuance and subtlety in the ways we scotch and beer drinkers can only dream of. Certain cocktails are just classics and will remain so for as long as people like you keep ordering them and people like us keep writing about them. They’re the same things you order when you’re at your hometown bar, but they just happen to taste a little bit better when you’re in Vegas. We decided to pick five drinks that most people know to show just how classic Vegas can be. These are the drinks you love and the places we love to get them. We’re pretty confident that was never a real skull, but we can’t be certain. The Mai Tai is a mainstay of the tiki culture that emerged in the ‘60s. The Golden Tiki is a Las Vegas tiki bar that popped up in Chinatown a few months ago. As a tiki bar, they have the décor and mindset you’d expect from a quasi-Hawaiian, pirate-themed establishment. But as a Las Vegas cocktail joint, they actually take what they do pretty seriously. Along with other classics, Golden Tiki has a Mai Tai that will never disappoint. It’s always made fresh and the bartenders know exactly how to make each individual order shine. 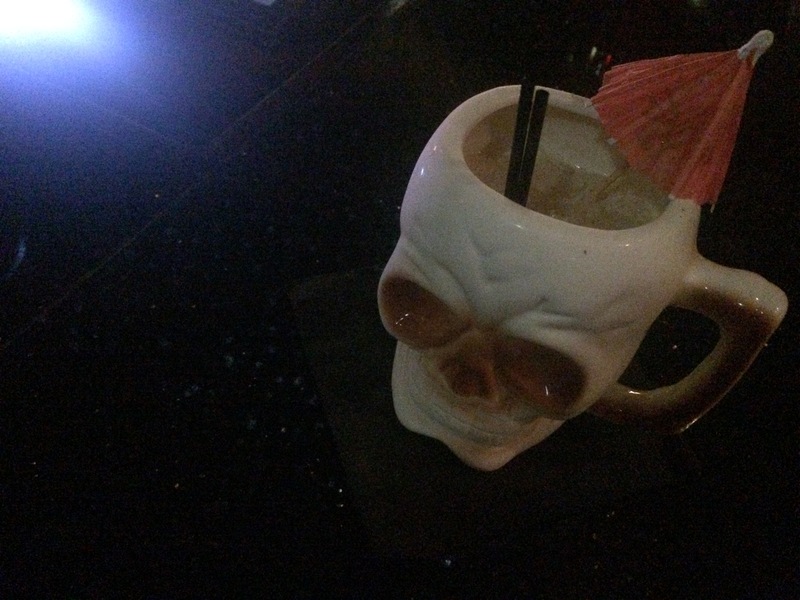 And for a bit extra you can get your Mai Tai in a souvenir cup – we’re big fans of the skull one. It’s great for freaking out coworkers when you slowly raise it over a cubicle wall. One of the most beautiful places to get any drink. Photo courtesy of The Cosmopolitan of Las Vegas. The Cosmopolitan of Las Vegas has some incredible cocktail bars. We’d really love to just put them all on the list and be done with it. But we really can’t do that. Besides the fact that it wouldn’t be fair to other bars, it would just be lazy writing. And we hate lazy writing, as evidenced by this total lack of segue. The Manhattan at Vesper Bar is classic in the way that a glittery bar set into an even glitterier casino is classic Vegas. Like everything at the bar, it’s a solid concoction that will never leave you hanging and it’s a drink we recommend for any whiskey lover looking to warm up from the coolness that is the Cosmopolitan. 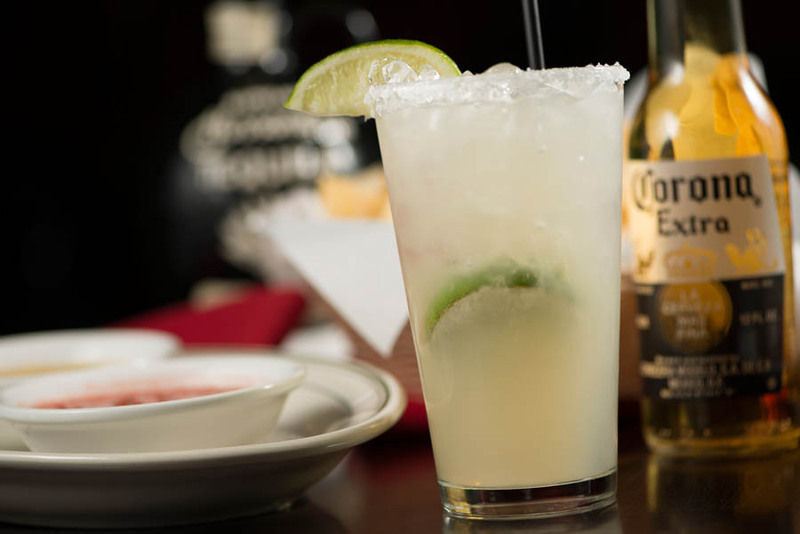 That right there is the Margarita of your dreams, if you’re like us and dream of things like Margaritas. Photo courtesy of Hussong’s Cantina. The Margarita is one of those drinks that everyone with a blender thinks they can make. They break out the extension cord, run it out to the patio and start buzzing away at the cubed ice and margarita mix they picked up at the liquor store. And the one person at the party who knows what a good Margarita tastes like is all, *sigh/facepalm*. If you’re that person, or you just want to be, head to Hussong’s Cantina for the type of Margarita that reminds you why some things are best left to the professionals. At Hussong’s, they know their tequila and, well, that’s pretty much what you need to know most to make a great Margarita. When they put it all together, you realize one more reason you should RSVP ‘no’ to that friend’s next BBQ. The best Martini you’ll ever have for breakfast. Photo courtesy of Bound and the Cromwell. No list of anything Las Vegas cocktail related could ever be written without mentioning Bound by Salvatore at the Cromwell – unless it was a list of the worst cocktail spots, but who would ever do that? Salvatore Calabrese literally wrote the book on cocktails and takes a personal interest in the quality at his signature establishment. When you get something as perfect as a martini at Bound, you’re not just getting a delicious drink, you’re getting a work of art that’s only meant to last as long as it takes you to down it. 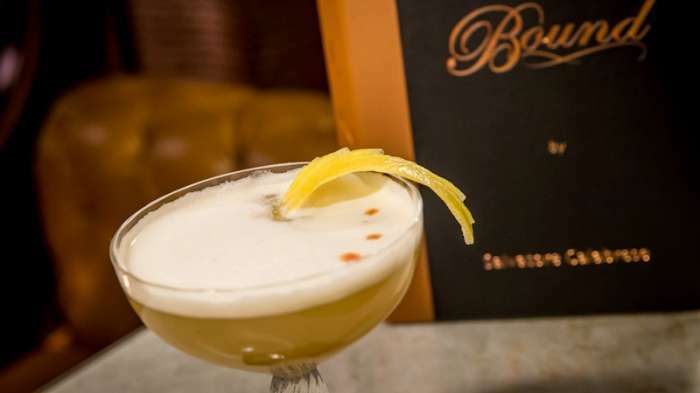 At Bound, you can go for the classic Martini, or try Salvatore’s Breakfast Martini. No matter when you drink it, this is one cocktail that will start your day or night off right. They also have good deals on beer, which isn’t really cocktail related at all but is still a good thing to know. Photo courtesy of Filament Bar. We promise we’ll do our best to get through this whole paragraph without quoting that song that’s probably already running through your head. 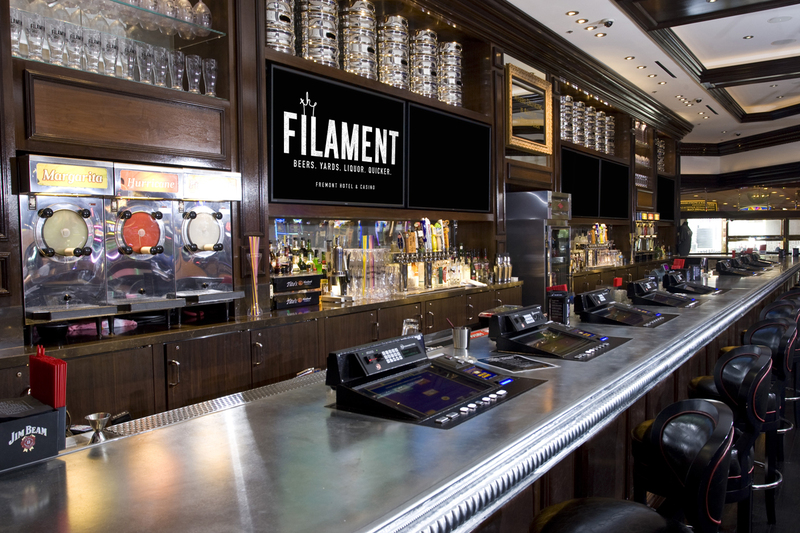 If you need some help getting it out, try the Filament for a Pina Colada that will punch the loops right out of you. A lot of places in this town make Pina Coladas, and a lot of them put adequate or even decent amounts of rum in them. The Filament came along. They pretty much dump the best rums into a cup with a bit of fresh coconut and pineapple flavor and hand it to you. It sounds like that would be too intense, but it’s actually just right. It’s a combination of taste and punch that’s as surprising as the bar itself. So now you’ve got some options for classic cocktails. Keep in mind, these are just a few of our favorites. This town is full of bars that have different recipes and bartenders that like to tweak things. We’re always innovating and evolving. If you want to explore options for yourself, you can check out our bars page. And if you want to wait a few days, we’ll also be releasing the best spots to get creative takes on these same cocktails – for the more adventurous drinkers out there.